This May, Pro Skateboarder and MTV star Rob Dyrdek will cross the U.S. for his DC Fantasies Run Deep Tour presented by Street Dreams. Over 23 days, the DC Fantasies Run Deep Tour will make 10 stops across the U.S. beginning May 16th in Huntington Beach, Calif. Dyrdek will visit retail stops across the country for meet and greets, autograph signings and screenings. The tour will wrap up at DC’s Soho Store in New York City on June 7th, the day before the Hollywood premiere of his new movie, Street Dreams. As his latest endeavor in the world of entertainment Dyrdek wrote, produced and financed Street Dreams, his first full-length feature film about an up-and-coming skateboarder and his dreams. With a cast of professional skateboarders that includes Dyrdek, Paul Rodriquez, Ryan Sheckler, Terry Kennedy and Ryan Dunn, Street Dreams is truly the first story to accurately depict the realities of life as a street skateboarder to a mainstream audience. In advance of the film’s theatrical release on June 12th, Dyrdek will screen the film to limited audiences during the DC Fantasies Run Deep Tour. A full schedule and locations of the DC Fantasies Run Deep Tour can be found at www.dcshoes.com. Along with photos, videos and the Street Dreams trailer, fans can register at dcshoes.com for Dyrdek’s Facebook, Myspace and Twitter where they can receive info on the tour and exclusive promos. 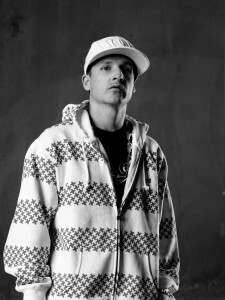 Visitors can also shop all of DC and Dyrdek’s current product and sign up for updates on his upcoming Dyrdek Collection that launches October 2009. 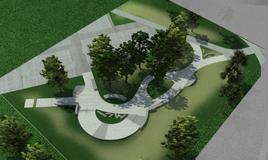 The city of Los Angeles will be welcoming a new skate plaza to its vicinity. 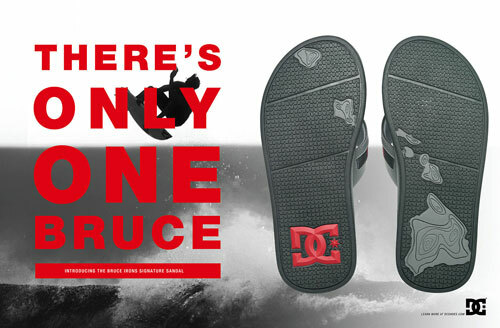 Rob Dyrdek, DC Shoes, and a massive donation from the dudes running Carl’s Jr. have thrown in the cash for this gem. It will all be completed late February of 2009 , later this month. I am absolutely mind boggled as to how fast it’s the construction is going to be done. Not only that, but I didn’t even know they were working on another plaza. This one promises to have more of a regular street-spot-flowing feel to it. By the sounds of it; stairs, ledges, and benches will all be a staple in the new plaza. But there also seems to be the customization factor to it; I’m sure that means you can bring in your own obstacles as well and no one would trip on you rearranging things. Sounds pretty awesome to me and a definite add on to the many lists of skate spots I still need to skate. This new plaza will be called the Lafayette Safe Spot. Perhaps there’s a chain of hassle free skate safe spots to come in the future? I hope so. This is a trend I could definitely get used to! For now, let our mouths water for the temptation of getting our shred on at Lafayette and maybe even go out and support Carl’s Jr. and buy ourselves a Famous Star? Mmmmm.. Yummy….